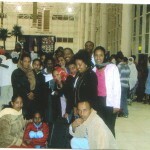 Ethiopis Travel provides immigration, USCIS , NVC services in our office. We fill out the right immigration form for you and provide guidance. Immigration invitation form to invite your relatives from abroad to the United States on a tourist visa, including letter for the U.S. consulate abroad – for clients coming in person to our office, notary services provided with the letter for the Embassy – service available for all countries. Our immigration service fee is only $40.00 per immigration form – whether the form is filled out and submitted online or whether we fill out and print it for you. We provide letter or email follow up services with USCIS or the National Visa Center (NVC) for very reasonable fees. We also provide full guidance with each immigration form we prepare for you as to where it will be sent and the documents/payments it should be sent with–will also notarize immigration letters or documents that need notarization. Come by our office and save money. Please note: We provide comprehensive immigration services but DO NOT and are not licensed to practice immigration law, and if your case is one that is beyond filling out and submitting immigration forms, or preparing letters for your immigration case-meaning that you have been told to answer to an immigration court or judge, you should consult an immigration lawyer. Call or email us if you need further clarification.